1) Continue eating prebiotic foods. Everyone talks about probiotics. Probiotics are important yes, but they cannot survive unless we feed them. The food for the healthy bacteria in our body are called prebiotics. Foods that are prebiotics include lentils, dandelion greens, green bananas, green plantains, onions (can be cooked, but need to still be crunchy), and potatoes (must be cooked and cooled for 24 hours and eaten cold). 2) Pick “treat” days around the holidays. The holidays are a time for a little extra indulgence. In health, our bodies can handle some indulgences. The trouble lies where we start having indulgences on a regular basis. So look at your calendar, pick 1-2 days/week and designate them treat days. Participate in treats on these days and say no the rest of the time. It will help both your gut AND your waist line! 3) Zinc Carnosine: Zinc carnosine is a form of zinc that helps to heal the gut lining and keep the intestinal cells happy. 4) Alcohol: Womens can pretty safely detox one drink/day and men can detox two. Any more than this can impact the health of the gut and can contribute to leaky gut. 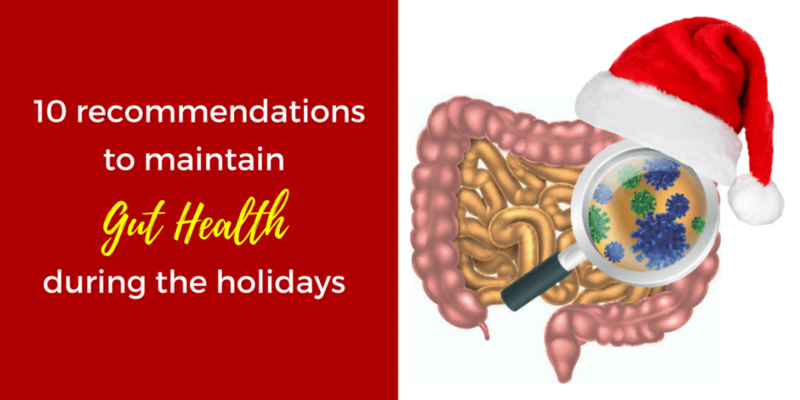 Therefore, make it your holiday goal not to have more than these recommendations. 5) Since sugar is an unavoidable part of the holiday season, pick healthy sugars. If you are going to a party, make a paleo version of a recipe. Or substitute cookies with buckwheat flour and coconut sugar for healthier versions. 6) Gluten is another food that is hard to avoid around the holidays. Gluten causes leaky gut EVEN in those who are not sensitive or allergic. Therefore, we should all minimize or eliminate gluten even if we do not notice it. Substitute buckwheat flour, cassava flour, coconut flour or other gluten free flours for wheat. The website Paleo Mom has great recipes. 7) No matter how much we plan in advance, the holidays can be stressful. So much family, parties and traveling on top of our normal life activities leave many people pretty exhausted. Make a point to take 10 minutes for yourself every day to practice meditation or a mindfulness based stress activity. UCLA has great free guided meditations that can be found here: http://marc.ucla.edu/mindful-meditations. Put it in your calendar so that you remember! 8) Take an adrenal based product to help with stress around the holidays. See your functional medicine practitioner to know which adrenal product is right for your unique health condition. 9) Make a point to not sacrifice sleep. Work to make things simpler on yourself such as online shopping to help save time. Ask each family member to make one dish at the holiday season to decrease the work load. Be okay if the house is not as clean as you want. Sleep is your best friend to maintaining healthy weight, lower stress levels and a reduced waist line (yes, sleep deprivation is associated with diabetes and weight gain). 10) Plan a detoxification for after the holidays. There are three phases of gut detoxification. While most people think of the liver for detoxification, one of these phases exists largely in the small intestine. What does this mean? 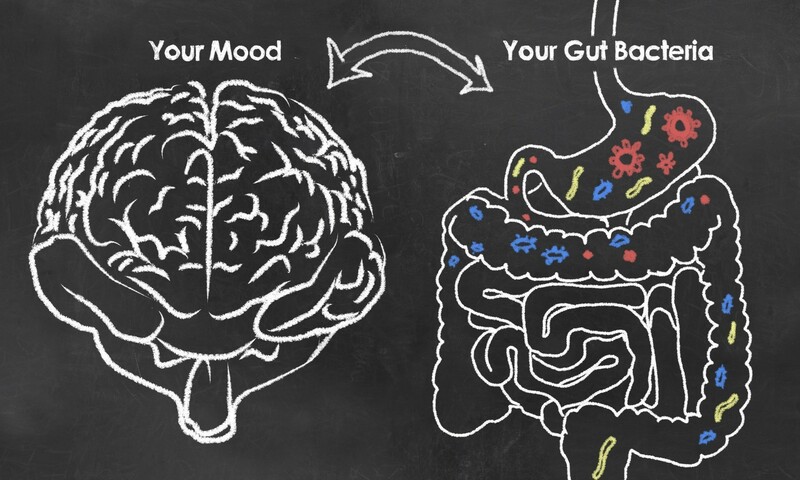 Your intestine is a detox organ! While the holidays are not a great time to detox, they are a great time to plan to start a detox afterwards to allow the body to heal. At Living Love, we offer easy to follow (non starvation) detox programs. We work with people all around the country for these! Email service@livinglovecommunity.com for more information and receive a 10% discount if you sign up before December 21st. Book a 15-min Discovery Phone Call!